It's no secret that my main aesthetic is the whole pastel goth thing, what can I say? pink & black just works. Part of that whole vibe is that I love to experiment with my appearance and push the boat out a bit. I also love to bring elements of Halloween into my everyday look. Black lipstick is one of those things that I was scared of for so long, I saw so many fabulous ladies on Instagram rocking it but thought that I'd look a fool as it's such a strong look. I've since found a strong love for black lipstick, I just think it looks really cool. I'll admit that it brings with it a lot of strange looks from people who aren't quite used to it, but who cares? One of the things I struggled with at first when wearing black lipstick was how to stop it looking too 'fancy dress' so that it fitted into day to day life. I thought I'd share my wearable black lipstick look to show how easy it is to rock, to show you that it's not a lip colour that you should be scared of. At first I used to do little to no eye makeup when wearing black lipstick because I was worried it would just look like Halloween make up, but upon reflection it didn't work that well, it kind of drained me and made me look a bit dead. Now, I opt for a dark but subtle smokey eye to add a bit of contrast and to take away the attention a little bit, and I definitely prefer how it looks like this. Obviously the main attraction of the look is the lipstick so I think it's important not to go too bold with the colours as it could look like there's too much going on. 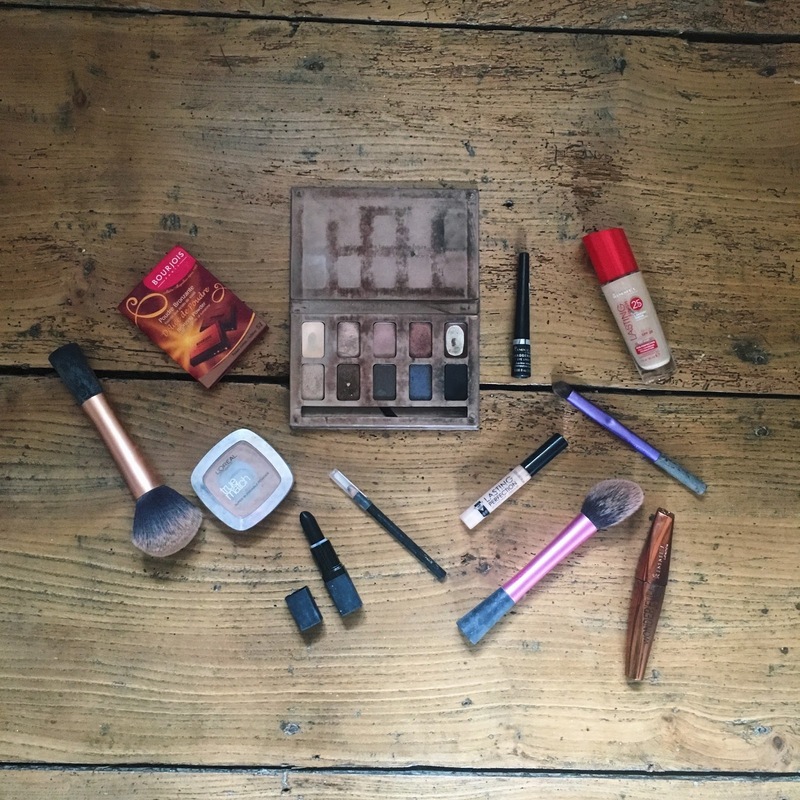 I chose a dark brown/black smokey eye but you could try grey, or a copper/brown smokey eye, I think all would suit it. Normally I wear false eyelashes day to day, but my hay fever was playing up when I took these photos so I left them off. False eyelashes are obviously optional, they do make the look all kinds of extra, which I love but I know is not everyone's cup of tea. 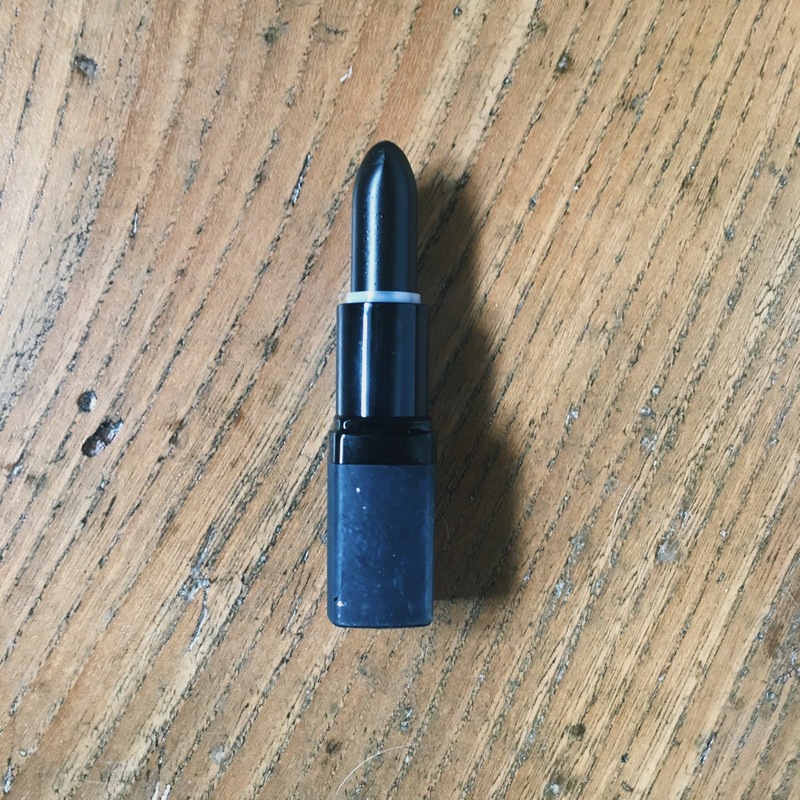 My main tip when applying black lipstick is to use a lip liner, because the colour can bleed quite a bit, and it's definitely not the most subtle colour to have smudged all over your face. I don't own a black lip liner so I just use a black pencil eyeliner which works just as well. I love this look so much, it brings out the Morticia Addams goth queen within me, and whilst it's definitely not a typical look I'd wear everyday, it's nice to experiment with something different and mix it up a bit. Plus every time I do this look I get 100 times more excited for Halloween...Hurry up October! What are your thoughts on black lipstick? Are you brave enough to give it a go? What's your favourite makeup look to experiment with? I love that look! Your hair, eye-makeup and black lipstick look beautiful! I'm obsessed with your make up, and the way it goes perfectly with your hair!! Pastel Goth goals! Black lipstick suits you so much, rock it girl! ^_^ I was the same, I use to be so scared to wear black lipstick outside of Halloween etc but when I did it it just helped me grow my confidence!